With the aim of strengthening their collective bargaining power, the Karen National Union met this week with the Democratic Karen Buddhist Army and the KNU/KNLA Peace Council. 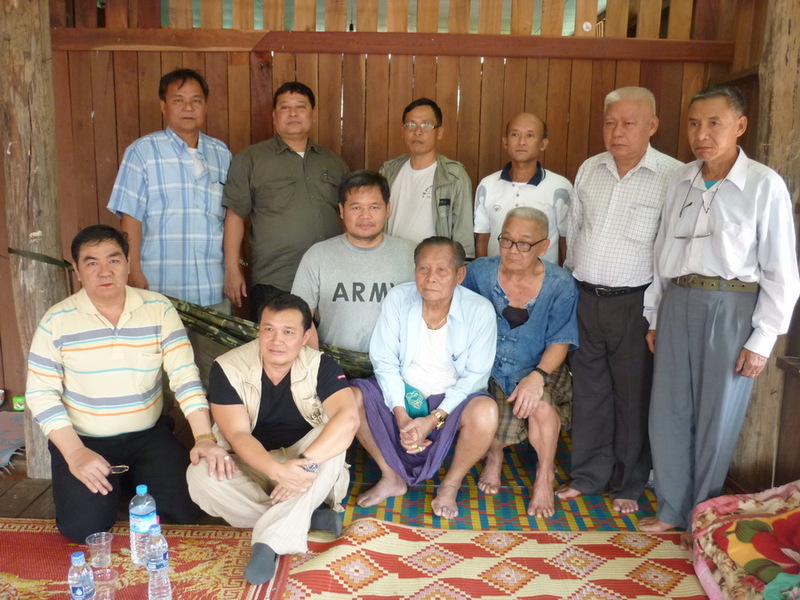 The KNU delegation led by Major Saw Hla Ngwe – joint secretary of KNU and Lieutenant General Oliver – Deputy Chief of Staff of the Karen National Liberation Army, met with the KNU/KNLA-PC group led by Major General Htin Maung at their base in Mae La Hta village in Hlaingbwe Township on March 6 and with DKBA at Sone Zee Myaing in Myawaddy Township, Karen State yesterday. Speaking to Karen News, Major Saw Hla Ngwe, joint secretary of the KNU said. Major Saw Hla Ngwe said the groups were positive about KNU peace talks – Major General Htin Maung said that their group is supportive of the peace talks and Major General Saw Lah Pwe himself said that he is happy to accept and recognize the lead role of the KNU on political issues. All three groups agreed to work to have concrete relationships with each other in order to re-build trust and to continue their struggle for the Karen cause in accordance with the four basic principles laid out by the Karen Martyr and revolutionary leader, Saw Ba Oo Gyi. The three Karen armed groups – KNU, DKBA and KNU/KNLA-PC have signed a preliminary ceasefire agreement with the Burma government – this is the first time high ranking leaders from the three groups have met since they signed their respective ceasefire agreements with the government. Major Saw Lont Lone, foreign affair officer In-charge of the DKBA said that meeting with the KNU senior leaders was beneficial and has led to more understanding among the groups. As well as Major Saw Hla Ngwe and Lieutenant General Oliver, who led the KNU delegation, other KNU members and observers included Padoh Saw Aung Maw Aye, KNU chairman of Pa-an district, Mahn Robert Zan – a Karen community leader from United States and other Karen community leaders from Australia and Korea. The KNU signed a preliminary ceasefire with the Burma government on January 12, 2012, the DKBA signed its agreement with the government on November 3, 2011 and the KNU/KNU-PC signed its agreement on February 7, 2012.